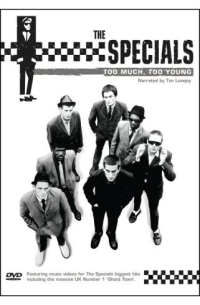 After a few months delay, The Specials DVD of their music videos is now out. Zabawski of New York City gigs in 1980. The Too Much Too Young DVD is available from Play for a very reasonable £9.99 here. Tried buying this today and was told that it STILL hasnae been released! This DVD has been withdrawn due to legal reasons – ie the company didn’t own the rights to release it. But there is a ‘Best Of the Specials’ CD/DVD set due out later this month. The DVD is more or less the same as this one but at least the band might see some royalties from it. The Best Of The Specials is available to pre-order from Amazon & HMV. I think at HMV it’s only £8.99 and the postage is FREE.